The other day I ran down to the school's fitness room, just 4 doors from my classroom, to get in a quick run afterschool. 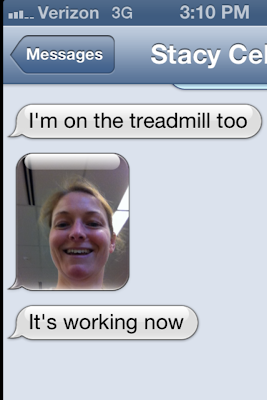 Minutes into my run, I get a text from my best friend, Stacy, who was running on the treadmill at her school - less then 30 miles away. 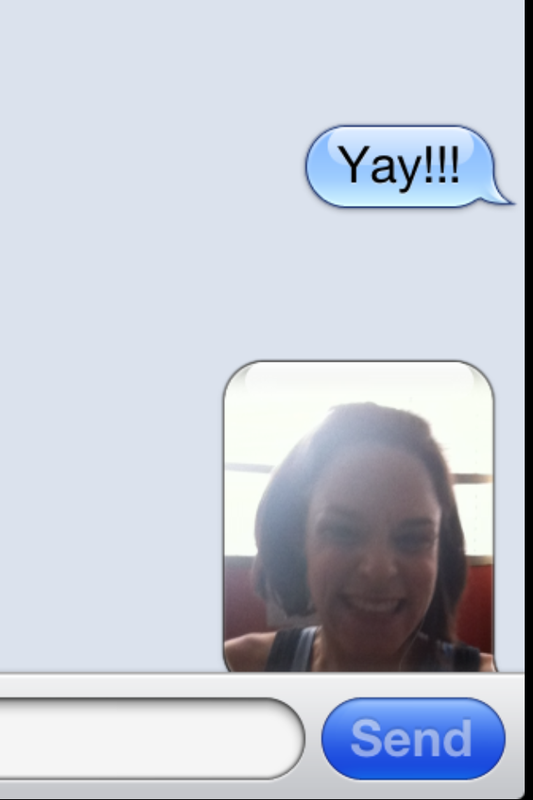 So, of course, I had to send her a picture of me running. I think it's definitely normal. Don't you? Okay Andy...this is coming from one of those weird twin people! Perhaps Jen and I were twins in a previous life. you both are too cute. totally normal. You guys are funny! Yes! very normal! Hilarious! 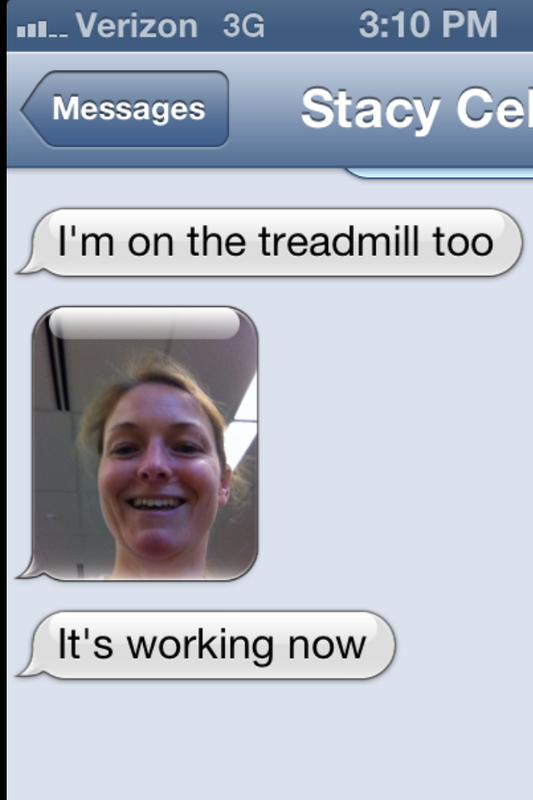 I wish my school had a treadmill! There is a little track in the back that I think is 4 times around like a regular one. I have yet to hit that up since there are normally kids kicking balls all around the field. But I should. Completely normal and LOVE it! How fun. Almost like running together! hahaha... cute! yes, normal. :) Running partners! 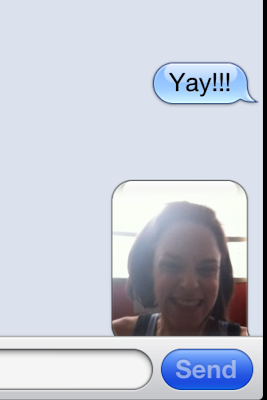 Haha, my best friend and I often talk to each other during our runs. He likes having a running partner and he says if I can't be there then he will just call instead.